How does the 22STARS Micro Loans program work? In October 2017 we partnered up with the organization Entrepreneurs Hands Uganda to give the families in Jinja and Alcholi Quarter micro loans and small business trainings, essential for them to learn to operate a business succesfully in all its aspects (strategic, financial etc). After the trainings we selected 28 women and men and we prepared their personal profiles, in which we underlined their skills and type of business they were interested in setting up. We have then started with the first group of loans, financed by the Foundation 22STARS, which have been issued to some beneficiaries in Jinja. 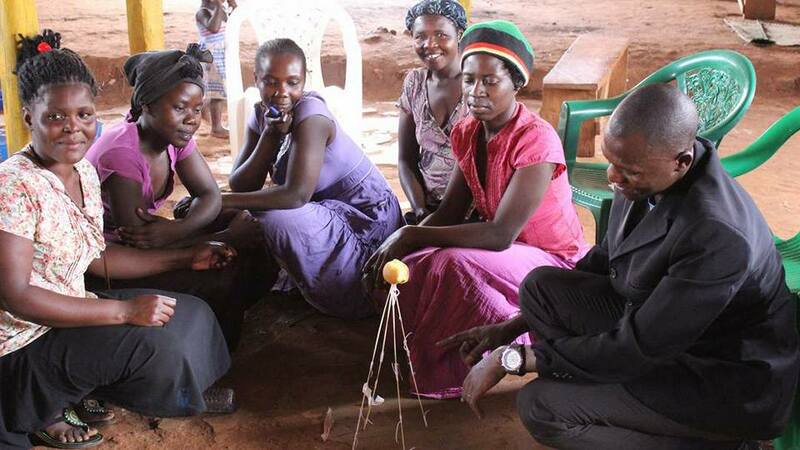 Stella Airoldi is right now in Uganda, and going through the new reports of the people who participated in the small business training in Kampala. And together with the project managers David and Aidah they will do a mid-term assessment of how the project is going. So far 80% of the beneficiaries has been paying their micro loans back weekly and the results look very promising. In the video below you will see part of our Small Business training in Kampala. We did the Marshawllow challenge. The winner got 10.000 UGX and as you can see, the ladies had a lot of fun! Wait till the end!. The lesson in the marshmallow challenge is that we need to identify the assumptions in our project and test them early and often. The assumption in the Marshmallow Challenge is that marshmallows are light and fluffy and easily supported by the spaghetti sticks. When you actually try to build the structure, the marshmallows don’t seem so light. The lesson in the marshmallow challenge is that we need to identify the assumptions in our project – the real customer needs, the cost of the product, the duration of the service – and test them early and often. That’s the mechanism that leads to effective innovation. Since most of the women in Acholi Quarter speak Luo from Northern Uganda and don’t speak Luganda nor English (what is spoken in Kampala) Laker Susan was an amazing help in translating what Nicholas Basalirwa from EHU said.